Remember that time I said I had done all of the reviews for the past year? I forgot about this book, which I bought in hardcover and promptly inhaled. This brings my total of novels read up to 56 for 2015! I’m not going to lie– I saw the movie to this book first (because I hadn’t realized it was based on a book). I absolutely adore this novel, and it is so much more than the movie. I understand the choices made for the movie in regards to plotline and simplifying the plot for theatre, and the movie works, but this book is amazing. In keeping with telling the truth, I will have to say that I have yet to see the BBC Pride and Prejudice– but I feel that it is now my duty to see it! Jane has bad habits when it comes to dating. She’s a hopeless romantic, like so many of us, and finds herself too easily caring and taken by any attractive guy. Chivalry is not dead, and many, like Jane, hope to find a man who will be respectful and proper, while still having a spark of romance. Hale shows what has oftentimes been proven true: sometimes, you need to stop looking because then you never know what might find you. 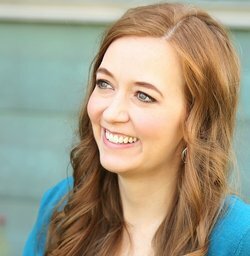 New York Times best selling author Shannon Hale started writing books at age ten and never stopped, eventually earning an MFA in Creative Writing. After nineteen years of writing and dozens of rejections, she published The Goose Girl, the first in her award-winning Books of Bayern series. She has published seventeen books for young readers including the Newbery Honor winner Princess Academy and its two sequels, multiple award winner Book of a Thousand Days, superhero YA novel Dangerous, and the first four Ever After High books. Her novels for the adult crowd include Austenland (now a major motion picture starring Keri Russell) and Midnight in Austenland. Shannon and her husband Dean Hale have collaborated on several projects such as Eisner-nominee Rapunzel’s Revenge and early chapter book series The Princess in Black. They spend non-writing hours corralling their four young children near Salt Lake City, Utah.